This is a very interesting piece in the development of the Glasslite Power of the Force figure line. 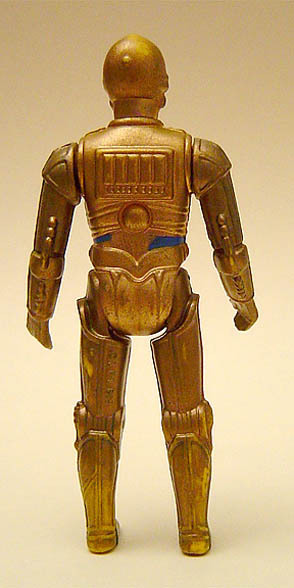 This piece is a Kenner US Droids C-3PO painted as a mock-up for what would become the Power of the Force Glasslite C-3PO. 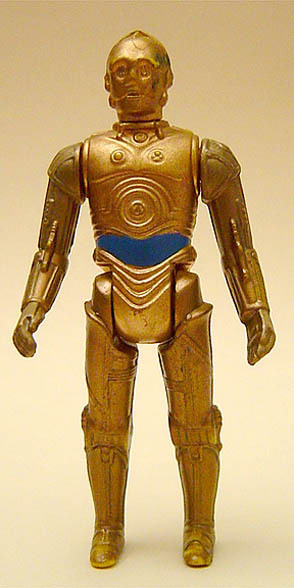 We know that Kenner had extensive contact with Glasslite and sent them both reference material and production toys. 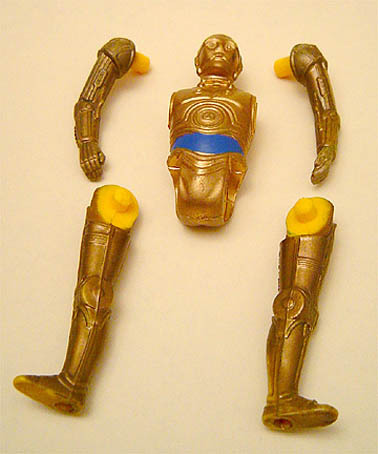 The image above shows what was once a Droids C-3PO. It has been painted to look like the Glasslite Power of the Force figure. Several areas exist on the back where the paint has rubbed away revealing the underlying yellow plastic. This mock-up exhibits a different coloration compared to the production figure and also features additional paint detail around the waist. 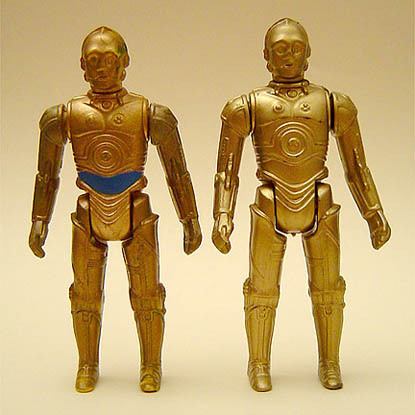 Shown above is a comparison of the mock up (left) and a production figure (right).